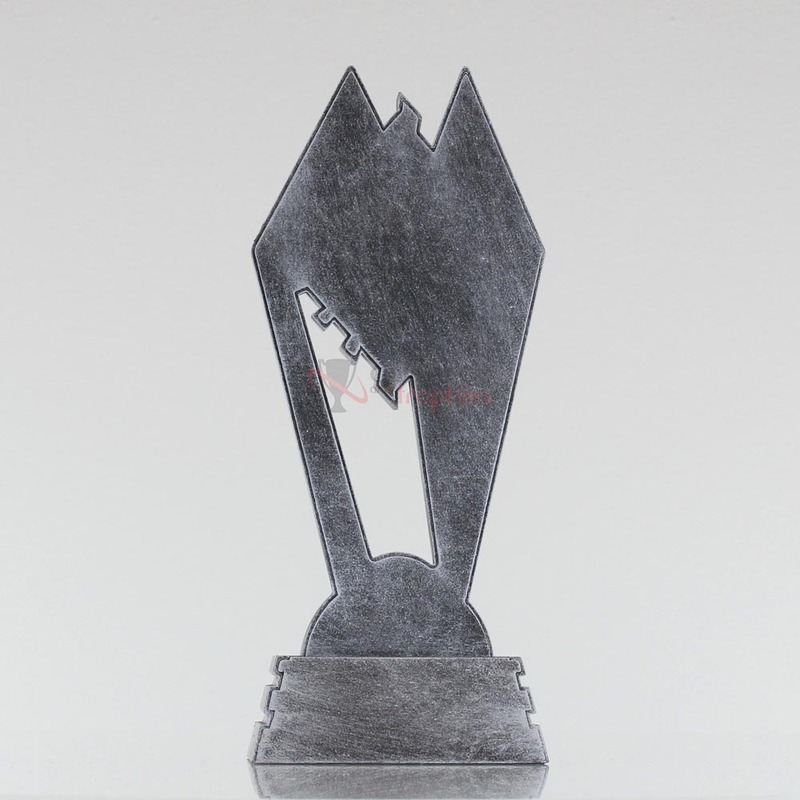 Reach for the stars with this stellar sporting trophy. 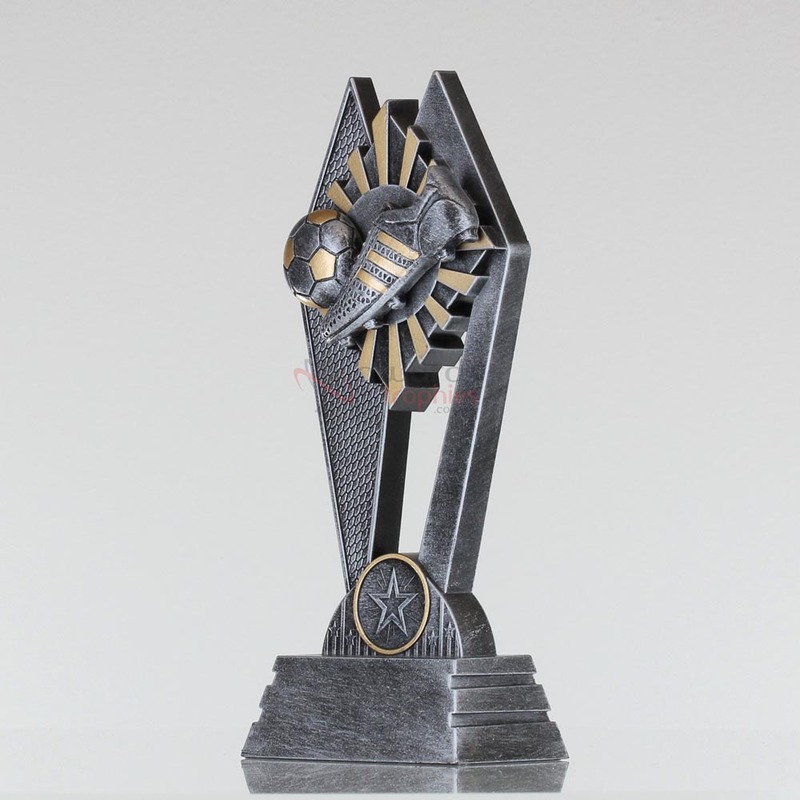 Featuring a soccer motif held aloft by a pair of peaked columns, this award will surely motivate any recipient to strive for excellence. Why not add your Club Logo in colour? We can personalise this trophy by covering the generic star symbol with your own Club Logo printed in colour on a 25mm disc. Adding a colour Club Logo really looks great and can be done for just a little extra. Simply choose this option from the drop down menu. Engraving on all our awards is free, whether engraving is the same or different on each award. If you are ordering a perpetual award, engraving on the title plate is included, as well as the first winner’s name (if known at time of purchase). This option is best for small orders. If you choose this option you will be given a certain number of lines per award and you can enter your wording there. You can also upload a logo on this page. This option is best for large orders. If you choose this option you will proceed through the order process without entering engraving details. Once you have submitted your order you will receive an automated engraving email. Simply reply to this email with your engraving details attached and it will be passed on to our production team. Why not add your Club Logo in colour? We can personalise this trophy for just a little extra by printing your club or company logo in colour on a white aluminium disc. If the trophy has the space for a colour logo, you can choose this in the 'Select Option' drop down list just under the trophy price. There is also a picture displaying some examples of what awards with colour logos look like. Your order will be dispatched from our warehouse in Milton, Brisbane and you can use our delivery calculator in the page header above or under the delivery tab below to estimate your delivery date. Postage and fast track fees will be calculated on the shopping cart page once we have the total weight of your order. You can collect in as little as 3 days with our fast track services. Our standard production time is 5 business days. Your order will be ready for collection from our store in Milton, Brisbane on or before your chosen collection date. You can select 3, 4 or 5 day production on our shopping cart page once we have tallied your order total. There is more information about the fast track costs under the delivery tab below.